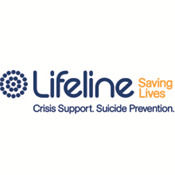 The Mental Health & Suicide Prevention Forum has partnered with Lifeline Australia to bring you a solutions focused 2019 program featuring Australia's leading clinicians, academics, mental health professionals and persons with lived experience - championing strategies for mental health reform and suicide prevention to provide the best outcomes for those affected by suicide and Australians experiencing mental illness. The national conference features Australia’s leading clinicians, academics, mental health professionals and persons with lived experience, championing strategies for mental health reform to provide the best outcome for those experiencing mental illness and affected by suicide. What will it take to be a mentally healthier nation? How can we bend the curve on suicide and self-harm? How to improve access to care and the quality of care in your setting? The journey of mental health reform in Australia is a long and discontinuous one. Closing the old stand alone psychiatric hospitals and moving to a community based model of mental health care has not resulted in better mental health or improved quality of life for all of those in our community with severe mental conditions. Good care for the nearly 700,000 Australians with a severe condition, remains something of a lucky dip. Mental health reforms in primary care and specialist care, only began in the late 1990s. A succession of new programs – Better Outcomes, Mental Health Nurse Incentive Program, Better Access and many others – have provided improved access to care for many people experiencing high prevalence mental health conditions, but again the evidence relating to improved outcomes is mixed. Simply put, too few Australians with a need for mental health care access any care and those that do, only some gain sustained improvements and enjoy contributing lives. This two-part workshop will begin with a 1-hour presentation that will look at what can be done to ‘bend the curve’ on mental illness and suicide and self-harm in Australia and create a more mentally healthy and resilient communities. It will set out what can be done at a policy level, within the health sector and other sectors, and at a practice or service level. The second part of the day (the workshop) will examine developing regional or service-level integrated approaches to improving access to mental health and the quality of care. Practical examples from around the world will be presented, analysed and considered for how they can be applied in local Australian contexts. The Fifth Plan sees, for the first time, the commitment of all governments in Australia to work together to achieve an integrated mental health care system to improve the lives of the nation. Commission Chair Lucinda Brogden joins us to address the priorities in the Plan, and the strategic direction for the future of Australian mental health care and suicide prevention. Hear from CEO Brendan Maher as he talks about the positive ripple effect of merely initiating a conversation. Brendan shares the mission and journey of the organisation as they continue to inspire and empower individuals and communities in the fight against mental illness and suicide by asking “Are you okay?”. The Network is using hip-hop therapy to engage young offenders with severe mental illness. Find out how its Rhythm and Rhymes Program is promoting mental health and positive behaviour amongst young offenders. Michelle Lambin from Orygen will introduce the world’s first set of guidelines for young people to #ChatSafe about suicide on social media. She discusses how this new initiative can support young people expressing or responding to suicide risk and related content online. Sacred Heart Mission has successfully provided mental health support to more than 100 people experiencing homelessness through its Journey to Social Inclusion (J2SI) Program. Operations Manager Anna Paris will share how the relationship-based initiative has improved the mental wellbeing of Australia’s homeless population. "A great program of broad interest with a good balance of formal talks and panel discussions." "Great open and honest discussion on the current status quo with hopeful, meaningful ideas and direction of a way forward." "Mental health care service delivery needs to change. This meeting brings together the people who can inform this change at the policy level." "This conference was great at putting the spotlight on current challenges in mental health, and how we approach these challenges." The Grace Hotel Sydney is offering attendees a special discounted rate. Please book directly with the hotel by calling +612 9272 6888 or email grace@gracehotel.com.au and providing the quoting AVT212002. Subject to room availability at the time of booking, rate is valid until 12th February 2019.